Women in Mining South Africa chairperson Lindiwe Nakedi. 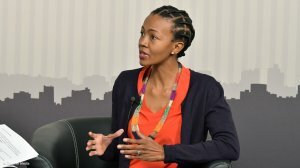 JOHANNESBURG (miningweekly.com) – The Mining Charter has significant room for improvement to enable meaningful participation of women in mining, says Women in Mining South Africa (WiMSA) chairperson Lindiwe Nakedi. Soweto-born Nakedi, who owns Gubhani Exploration – a surface exploration drilling company that is currently the only 100% black women owned drilling company in South Africa – outlines the potential for significant improvement ahead of the charter’s finalisation to ensure that the historic and present inequalities suffered by women in the industry are redressed. She advocates the setting of additional targets for the participation of white women, over and above specifying targets for black women's participation. (Also watch attached Creamer Media video). “The word ‘women’ must be defined to include all South African women,” Nakedi states in the open letter WiMSA sent to Mineral Resources Minister Gwede Mantashe and emailed to Creamer Media’s Mining Weekly Online. Exploration is seen as a way of opening up new opportunities for women in mining as well as in mine ownership. Her stance is that change begins with policy, which is why WiMSA will continue to engage the Department of Mineral Resources (DMR) and other stakeholders to facilitate the transformation of the industry to benefit all citizens. 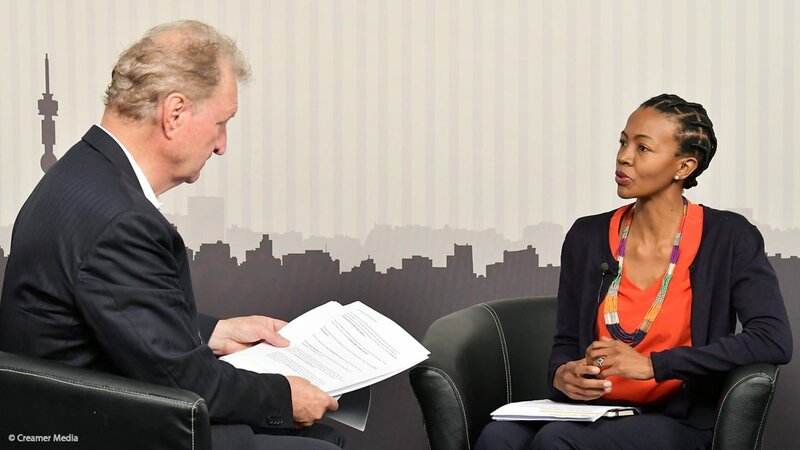 “Our laws and policies have to be attractive to investors around the world to look at South Africa as a place to explore,” she says. New technology that is entering the sector is lessening its robustness and opening the door to wider female participation. The '100 Global Inspirational Women in Mining 2018' publication features no less than 16 women from South Africa who were selected from 642 nominated by female and male colleagues around the world. The South African finalists were among 100 women from 28 countries chosen for visible contributions above and beyond their daily responsibilities. WiMSA provides a free platform for supporting and guiding the personal growth, leadership and career development of women in the country’s mining industry. The nonprofit organisation with over 2 500 members was established in 2010 with support coming from sponsorships and time given by volunteers. The 16 South African women are Nakedi, Thabile Makgala, Impala Platinum Holdings mining executive and chairperson-elect of WiMSA, Dr Thuthula Balfour, head of health at Minerals Council South Africa, Makhosazana Sibisi, CEO of WaterBearer Sustainable Development, Deshnee Naidoo, CEO of Vedanta Zinc International, Farana Boodhram, CEO of Avita Mining, Gargi Mishra, senior principal industry innovation of Accenture, Megan Becker, associate professor of the Centre for Minerals Research, Department of Chemical Engineering, University of Cape Town, Tzvet Ilarionova, VP and group finance head of Gold Fields, Nolundi Luthuli, graduate trainee corporate social responsibility for ArcelorMittal South Africa, Tebogo Mosito Mashego, CEO of Ditsogo Projects, Wilhemina Ncgobo, operations manager of Assmang, Stella Skosana, executive secretary of Bafokeng Rasimone Platinum Mine, Nompumelelo Zikalala, deputy CEO of De Beers Consolidated Mines, Dineo Phaladi, mine overseer for Kumba Iron Ore, and Maria Sanz Perez, executive VP AngloGold Ashanti. Ten years of running Gubhani Exploration have emphasised to Nakedi just how capital intensive the exploration drilling business is. “It’s been an amazing journey of ups and downs for us and our biggest success has been to be able to grow slowly,” says Nakedi, whose geologist husband Tlhaloso ‘Tee’ Nakedi is the company’s exploration manager. The slow growth has been a consequence of the hesitancy of financial institutions to back a small company operating in what is a highly cyclical industry. She commends the then Coal of Africa, now MC Mining, for giving the company its initial assignment, which involved large diameter bulk sampling. What delights her is that the company's drilling resulted in the development of a mine. The current work of Gubhani, which employs 13 people and has assets worth R8-million, includes a coal project for South32’s South African Energy Coal at the Klipspruit colliery, as well as a number of other exploration projects on different properties in Mpumalanga. The main activity of the company is surface exploration diamond drilling and the carrying out of geotechnical drilling and investigations across the full commodity spectrum.